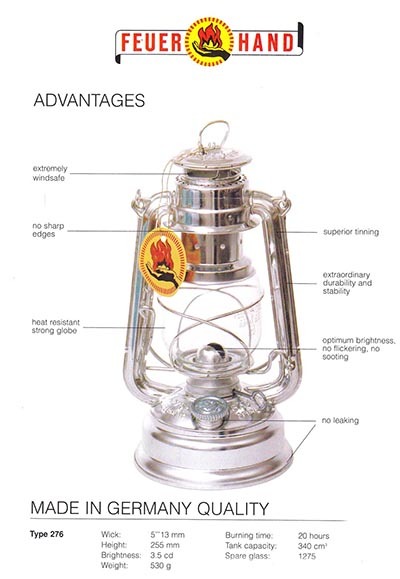 We love the reliable simplicity and trustworthy companionship oil lanterns offer. Sure, they’re lifesavers in a power outage, but they’re also the logical choice on small boats, where they serve as anchor lights and provide general illumination—even warming a cozy cabin on a cool night. And there’s nothing quite as romantic as the soft, golden glow of lantern light. 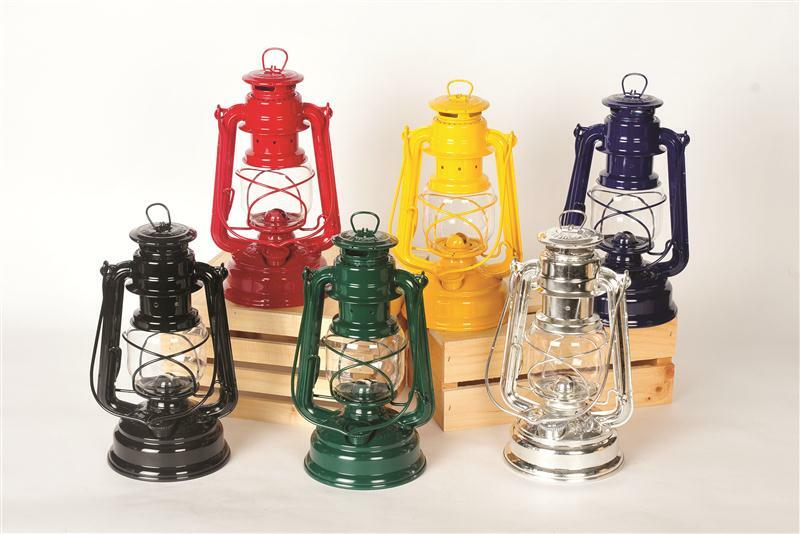 We recently discovered Feuerhand (firehand), a German company who has been building high quality lanterns since the 1930s. Their lanterns are 100% made in Germany—right down to the last component. The quality is exceptional. Their little 10-inch “Baby Special” is equipped with a windproof Suprax globe that won’t crack from heat or cold, a lined leak-proof tank, and a durable fully tinned body. The lantern will burn for 20 hours on a single tank. $29.95. Available in silver, red, or yellow. Burns kerosene or lamp oil. Wick included.